Eye Designs can make sure you are getting the best quality vision at a reasonable price! Our certified opticians recommend and will use their expertise to select not only the best frame for you, but also the best lenses. Most people need at least 2 pairs - one for indoor use, and one for sun protection. 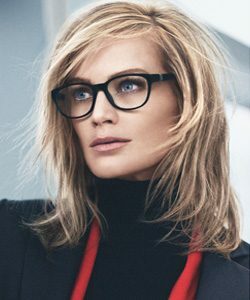 If you have reached presbyopic age (generally around age 40) you may want to consider adding a pair with lenses designed for specific tasks such as computer use. Everyday Glasses: Anti-glare and thin lenses will help you to see well and feel great. Sunwear: Look great as well as provide 100% UV protection. A polarized lens is our preferred option as it cuts out unwanted glare! Outdoor Sports: Not just for kids, protect your glasses by using sportswear so you can play hard! Computer Glasses: You probably have specific work shoes, believe us these glasses are awesome! They reduce the risk of blurred vision, eye strain, and bad posture- leading to increased productivity! Safety Glasses: Not only for work that requires them, but great for basement remodels or woodworking! Fashion: Today's frames range in style, color, shape, and versatility so that you can have the perfect frame for any outfit or occasion!